NCC to hear proposal to flash-freeze canal | Ottawhat? As early key indicators suggest, Ottawa’s tourism revenue has dropped significantly this winter compared to last year. 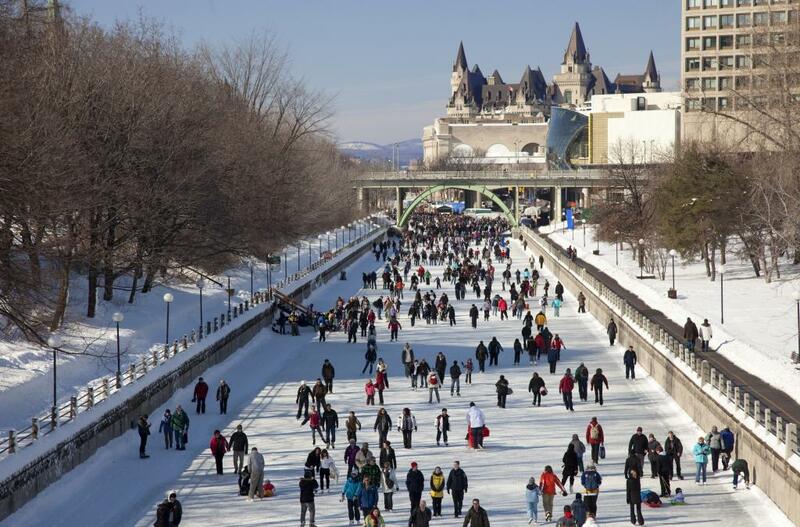 Many blame the sudden downturn of tourists due to the unfrozen state of the Rideau Canal. The NCC recently launched a Request for Proposal in order to seek creative solutions to help speed up the process of freezing the body of water. Earlier today, NCC officials heard a bid to flash-freeze the canal using liquid nitrogen, which has been spearheaded by Cryorink, a Missisauga-based company. Cryorink is represented by a capital investment firm headed by Kevin O’Leary, the former Dragon’s Den star who recently finished with a score of -$2,800 on Jeopardy. Some claim flash-freezing water using liquid nitrogen creates the best type of ice for skaters, but others have serious safety and environmental concerns. The proposal has received a great deal of criticism from Ottawa residents living near the Canal. One thing is certain: With Winterlude only days away, the NCC will have to act quickly to ensure Ottawa does not lose out on any further tourism revenue.